Giant buttercup poses a serious threat to dairy pastures. 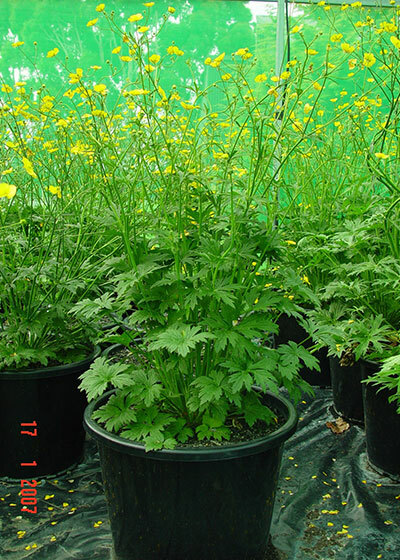 Giant buttercup, one of 14 weedy Ranunculus species occurring in New Zealand, is unpalatable to dairy cows due to its production of the toxin, protoanemonin. As a result of its unpalatability, it spreads through dairy pasture, reducing pasture quality and dry matter yield. 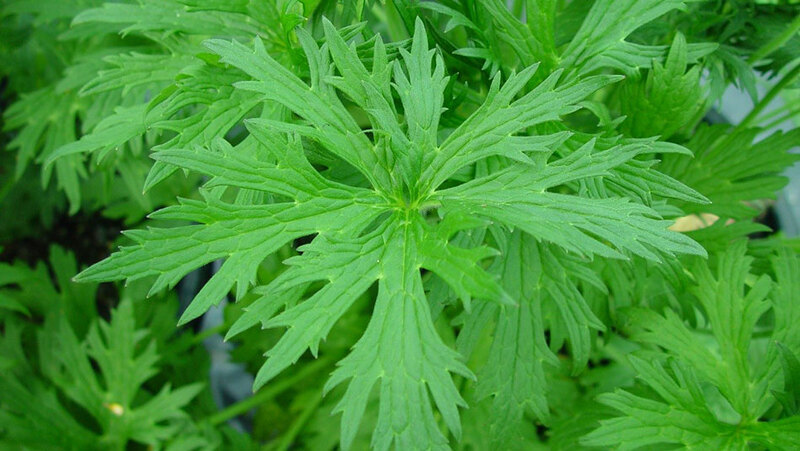 It reproduces from seeds, rhizomes and from flower stems that can root at the nodes and form a new plant. The seeds are dispersed by flood water, soil movement, animals and in hay and germinate in pasture gaps caused by pugging. On a modelled dairy farm with giant buttercup in most paddocks and an overall average peak ground cover (in November) of 12%, the weed reduced the farm’s profit by 36% (from $2870 to $1830/ha). Areas known to be affected are South Auckland, Hawkes Bay, Taranaki, South Wairarapa and Horowhenua in the North Island, and Golden Bay, West Coast and Southland in the South Island. All dairy farming land in New Zealand is climatically optimal for giant buttercup and therefore threatened. Click on the image above to see giant buttercup at different growth stages. Giant buttercup has a deeply dissected leaf varying in size from a few centimetres to greater than an outstretched hand. It is readily distinguished from all other weedy buttercup species by its leaves, its tall stature, and the usual presence of stout rhizomes just under the soil surface. Dairy farmers find that giant buttercup is more difficult to control in paddocks with poor drainage. The experiment showed that this is not due to any direct effect of soil wetness on the efficacies of the herbicides or mowing tactics that may be used. Rather, it is probably due to the weed being promoted by the tread damage (pugging) associated with poor drainage through enhanced seedling recruitment and vegetative spread. Gibberellic acid and nitrogenous fertilisers can promote the growth of pasture plants and have been observed by some dairy farmers to improve the control of giant buttercup when applied along with herbicides. No evidence was found to support this idea. The common fungus, Sclerotinia sclerotiorum, is a natural enemy of giant buttercup. It can cause a disease that kills the buttercup plant including its rhizomes without any damage to pasture grasses and clovers. The formulations tested in the experiment unfortunately proved ineffective. Many farmers find that giant buttercup is not well controlled by herbicides. There are seven herbicide active ingredients registered in New Zealand for controlling giant buttercup in pasture (table below). They fall into four different mode-of-action (MOA) groups and some are damaging to clovers. Repeated use of a single MOA is likely to result in resistance to that MOA and this possibly explains many of the poor results from farmers’ herbicide applications. For product names of pasture herbicides with activity against giant buttercup click here. 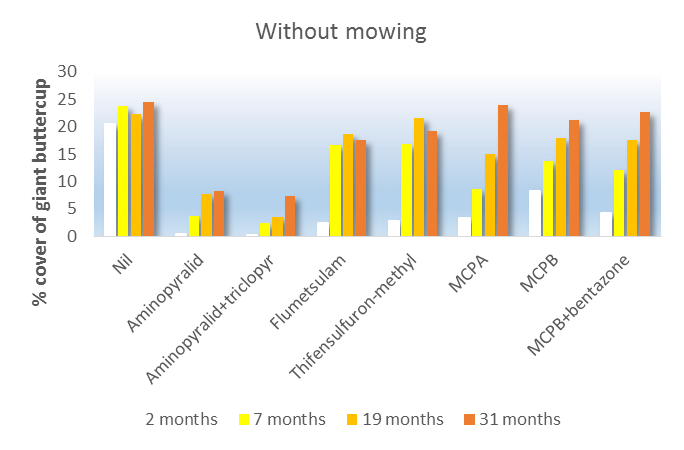 Pre-graze mowing in combination with an herbicide application adds to the herbicide effect. 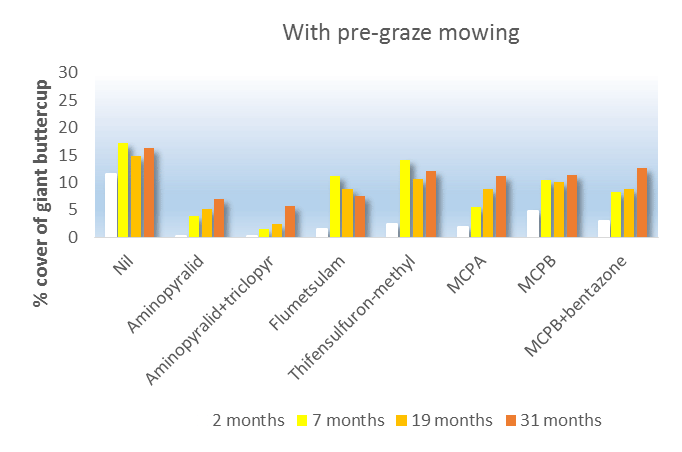 A new field experiment (SFF project “Giant Buttercup Management Decision Support”, July 2017 - June 2020), is quantifying the effects of timing (pre- or post-graze) and frequency of mowing on the cover of giant buttercup and on pasture dry matter yield. Its results will help inform the Decision Support system being developed by this project. 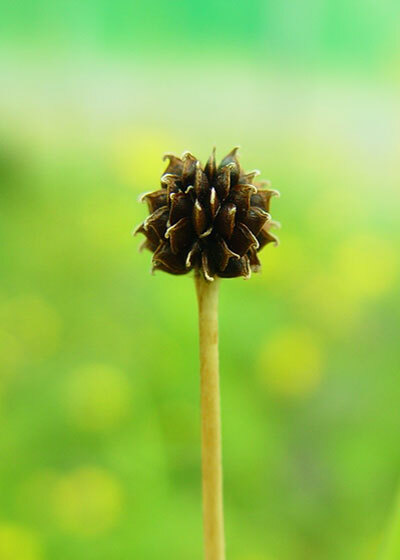 Further information about giant buttercup (Ranunculus acris) and key technical publications are available on the agpest website. 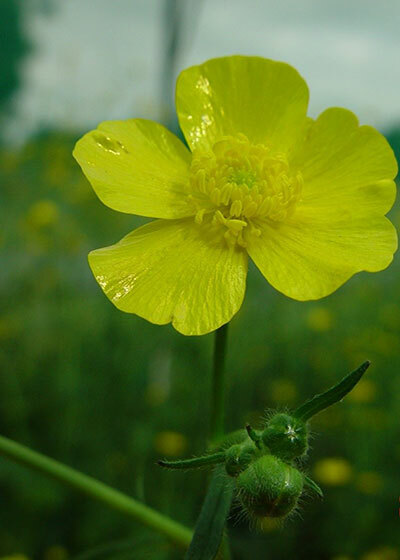 This factsheet will help you identify and manage Giant buttercup.